Aqua Clara Kenya (ACK) continues to live up to our mission by providing Effective, Simple, Affordable, and Local clean water solutions for people living in rural and urban areas. Over the past five years, we have successfully initiated programs that not only provide clean water to people living in rural areas, but also provide revenue for individuals and their families. After years of subsidizing the BSF Program in order to keep the filter affordable for people living in rural areas, we are now reaching our goal to make the program 100% self – sustainable. Our Kenyan staff conducted a thorough examination of pricing structure, and markets, and brought all of the manufacturing of the materials ‘in house.’ This allowed us to lower our overhead costs and guaranteed the quality of the materials for each installation. Several operations changes were also implemented allowing the entrepreneurs to focus solely on ‘sales’ and installations. In addition, we were able to purchase an old Land Rover, allowing us to deliver supplies to the necessary locations and do more marketing and promotions in rural areas. All of this has resulted in a higher profit margin for the entrepreneurs while still keeping the biosand filters affordable for people living in rural areas. In 2013, we secured a PWX Grant for installation of Rain Water Harvesting (RWH) units. This grant provided the perfect platform for initiating the new RWH program in Kenya. The Programs Manager, gathered several skilled men in Kisii and in Eldoret to instruct on the planning and installation of RWH units. These men worked alongside the Programs Manager and slowly took over the installations to where they were implementing every installation on their own. They then invited all of the ACI Entrepreneurs for a RWH training session, training each of the entrepreneurs on how to sell RWH units to their neighbors and communities. The program was so successful that ACI is now being hired by other non-profits to install RWH units under their grants, providing revenue for both the ACI Installers and the ACI office. 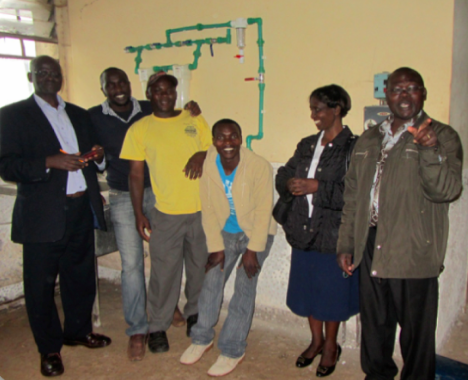 With support from various grants, Aqua Clara was able to install several large Hollow Fiber units in both Kenya and Tanzania. In the pursuit of self sustainability, the Kenyan staff partnered with a local High School with access to spring water to install a large ‘Clean Water Kiosk.’ The school will provide the spring water for the ACI Kiosk, and the ACI Kiosk will then provide 2000 liters of clean drinking water for the students in the school, eliminating the need for the kitchen staff to boil their water. In return, the ACI Kiosk will be able to sell clean water to the surrounding community, and to homes and businesses in town providing jobs and revenue. A second installation was installed in the ACK office purifying the water harvested from the rain. This unit is designed as a demonstration unit for visitors and potential customers, as well as a training unit for the future ACI Hollow Fiber installers. The third unit was transported to Tanzania where ACK partnered with MAPED, a local Masai organization located near the Ruvu river in South Masailand. Maped has built a small school and community center, but had no way to provide clean water to the students and community. 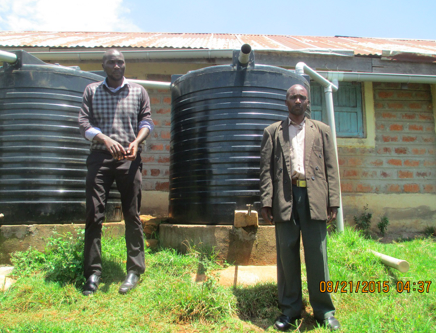 With the help of ACK and another local mission group, Help for the Masai, rain water harvesting tanks were installed as well as one of the ACI Hollow Fiber filter units. The unit was placed outside of the school building allowing access to the clean water for the entire community as well as the students. Students and community members now fill the tank every day with water from the river providing clean water for all who need. The first 120 household units were also introduced into Kenya, 70 of which were given to the ACI entrepreneurs and Health Promoters. The units were taken home and tested by the recipients, who then provided feedback on how we could improve the new product, prior to introducing them into the market. ACK has focused on creating partnerships via training of other organizations. This allows us to extend our reach into other regions and provides income-generating revenue to offset our administration costs. We now have several partners in Kenya and other countries as well. Due to Hydraid’s inability to economically ship biosand filters to Nigeria, PIND contacted ACI and requested ACI for training on building with local materials. So, in February, John Nywagwencha, the ACI Kenya Operations Manager, traveled to Nigeria and trained 13 people, including a representative from the Ministry of Water. 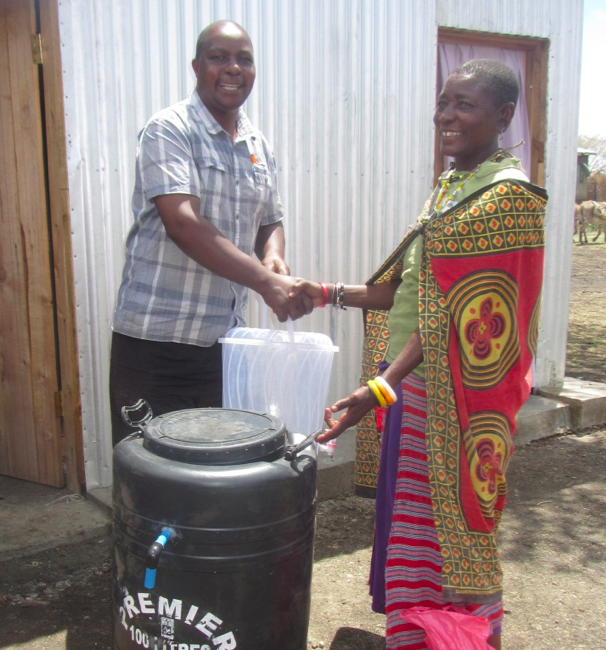 PIND is now able to build their own biosand filters with local materials, and ACI Kenya continues to provide technical support for PIND in Nigeria. Jim Wright, the founder of FHG, contacted ACI with the desire to train pastors to be able to build biosand filters for their respective communities. ACI set up a 6 day training for 20 pastors from Kenya and Uganda and successfully hosted the group at the ACI Kisii office. The pastors are now purchasing filters from ACI and installing them in their communities. Terry Link, a professor from Michigan State University, has been traveling to Burkina Faso for several years. Seeing the dire water situation there, he asked Hydraid to install biosand filters. However, due to the excessive shipping costs, Terry contacted ACI requesting we train his colleagues on how to build filters with locally available materials. ACK traveled to Burkina Faso and conducted a 6 day training to several local and government entities. Terry is now looking forward to introducing the new Hollow Fiber filters there as well. The ACI Kenya Staff are now extremely competent and capable of providing a number of services to our local and international community. Aqua Clara has also received a number or requests to replicate the program in both Tanzania and Uganda. ACI will pursue a program in Tanzania initially, then move into Uganda.